Invalid TO address dude mikrotik - After you try to setup email notification on the dude mikrotik and you get a problem in sending email "Error sending e-mail : Invalid TO Address", this error is caused sender address is not valid or domain address is not handled by the mail server. To solve this problem you need to change the domain name that is permitted by the mail server. 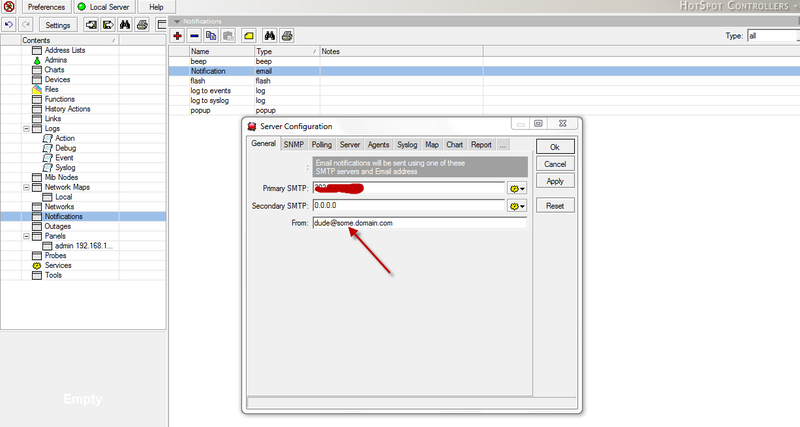 Click Settings button, on General Tab, change the domain name at the From Textbox. For Example dude@server1.com, server1@pacific.com, or other domain name. 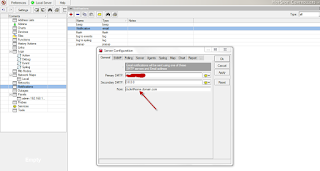 0 Response to "Error Sending Email:Invalid TO Address at Dude Mikrotik"